Hidden Gem! If you are looking for a gorgeous country setting which allows you to enjoy peace and tranquility without sacrificing location and convenience than look no further! 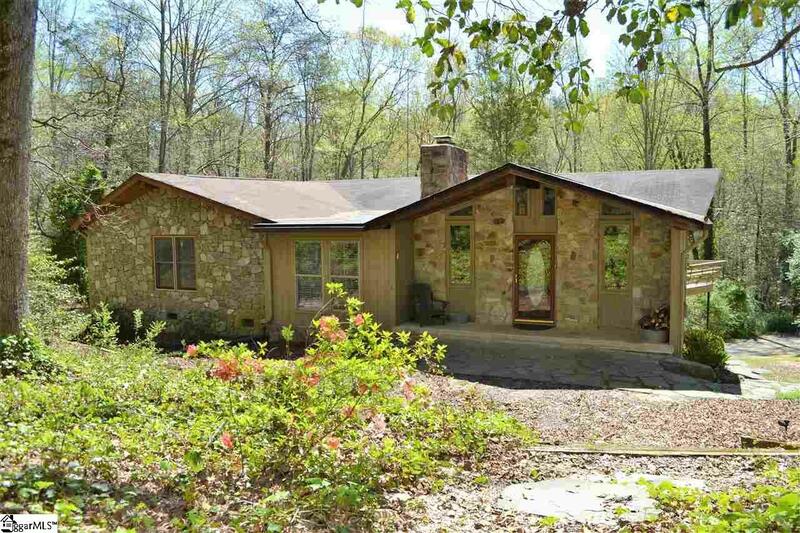 This unique, one-of-a-kind, custom built home sits on 6 acres and is nestled at the end of a long, private drive, tucked behind a wooded tree line on a quiet, private road. 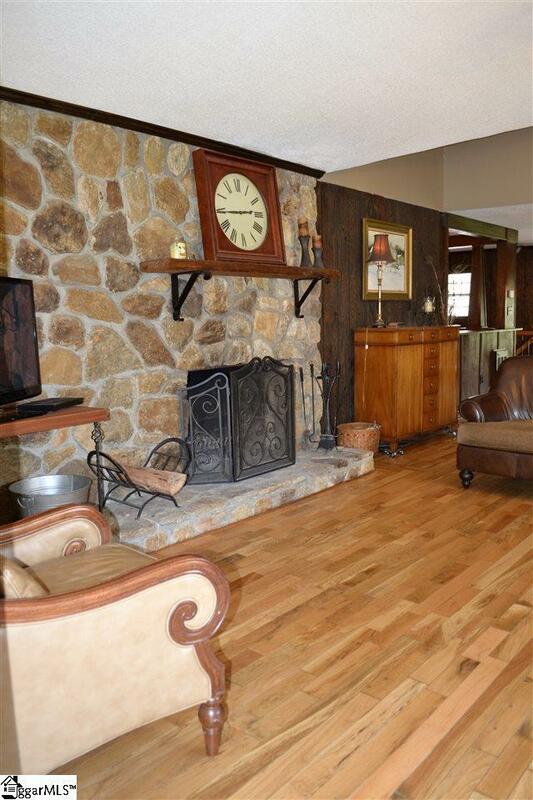 Boasting over 3200 sq ft, this home will not disappoint. Step inside where a spacious, open floor plan welcomes you and attention to detail and pride in ownership is around every corner. 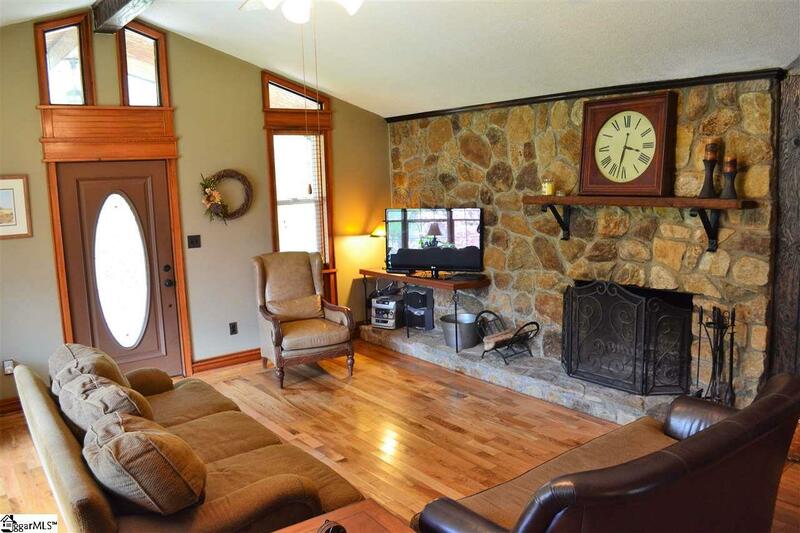 Great room with cathedral ceilings, gleaming hardwoods, and gorgeous teak trim is further accented by a stone surround wood burning fireplace. Fall in love with the kitchen where beauty meets function -- from the glass fronted display cupboards, stainless steel appliances, range with Broan exhaust system, and multiple prep areas, to the ease of the roll out shelves, pantry and perfectly appointed breakfast bar. Or step outside onto your covered, upper deck and enjoy the views while you sip your morning coffee. The large formal dining room offers an additional closet and storage nooks and the open pass throughs make it the perfect set up for entertaining. The master retreat will take your breath away from the moment you enter the room. 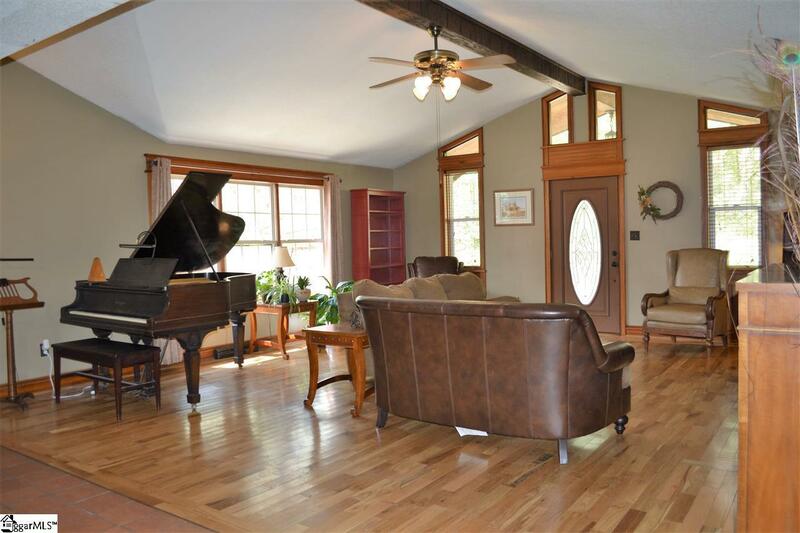 Character, space, and privacy abound with an exposed beam cathedral ceiling, double closets, built in bookcase, new carpet and plenty of natural light. Separate sitting/dressing area features French doors which open to your full bath where a stunning natural stone wall flanks the double sink vanity and extra-large spaces leave plenty of room for additional furniture and dcor. Herringbone hardwood flooring in the hallway takes you to bedroom number two with multiple closets and access to the full bath. Spacious areas for storage, separate partition for the bath and plenty of vanity space make this the perfect combination for both family and guests. Laundry and additional closets are also located on this level. Downstairs you will find new carpet throughout the huge bonus/2nd living room and bedroom number three with an additional full bath. Sunshine fills the rooms making them cheery and bright and a separate entrance makes this the ideal space for family, guests, an in-law suite or even the potential for Airbnb! The hobbyist, homesteader or mini farm enthusiast will delight at the outside spaces! In addition to two creeks and 6 acres of blooming trees, flowers, stone paths, and both cleared and wooded areas with trails, you will find an incredible 2 story, 1400 sq ft 2 car garage/barn with electricity, a metal utility building with storage on both sides and an additional out building with two open stalls and storage in between with a mini loft. The attached carport also features a large workshop right off the home with shelving, storage, and electricity. No HOA! Bring your tools, your toys, your animals and more! Only 20 minutes in either direction to Downtown Travelers Rest or Downtown Greenville and just a short drive to Lake Jocassee and Lake Kewoee. This amazing combination of house, location, outbuildings and land make 223 Doberman Trail the perfect place to call home sweet home! Dont delay -- Schedule your private showing today! Listing provided courtesy of Jennifer Deese of Belle Select Corp.